Hello! Nice to meet you! 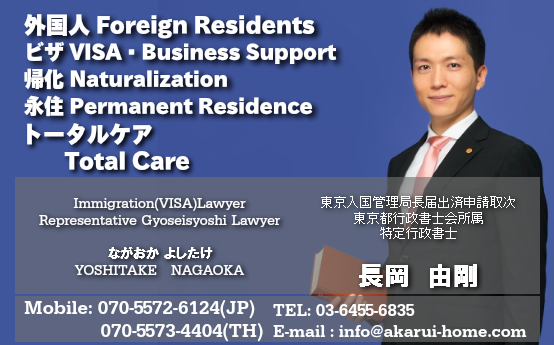 I'm Yoshitake Nagaoka, Immigration Lawyer from Bright Legal Office, Japan. My mother was a foreigner, and I have many relatives who live aboard, so I always got hospitalities and kindness from people around the world since I was a child . During my college years, I took a backpack and traveled around to many countries. I didn't carry a lot of stuff with me and I met a lot of people while I was traveling. I had received warm and precious welcomes from them. And now, as an Immigration Lawyer, I would like to give all hospitalities and kind hearts I have had received to everyone around the globe . One thing that motivates me to do this job is the memory of my mother. When I was a kid, I woke up from my bed at midnight, and went to the toilet. I saw my mother siting in the kitchen and crying all alone. "Why do you cry?" I asked. Then my mother who is a foreigner said to me "I came from my country alone and sometimes I felt lonely for all of sudden. When I feel down, I don`t have friends who grow up with me here and I suddenly feel like I have been left alone in this world. Then, I just cry. ". I still remember her tear vividly. And I think many foreigners living in Japan may have shares this experience with her. 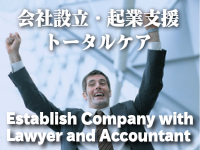 At Bright Legal Office, me and the staff are doing our best to support foreign residents in Japan by providing varieties of sevice to serve your satisfaction. We wish for a brighter and better development through economic and cultural exchange betweenJapan and another countries, including your country..
We have filed a number of Visa applications everyday and many of them are difficult cases. But so far, our success rate is 100%. We owed this to our clients for their honesty and sincerity. 入管へのビザ申請なら【ビザトータルケア東京】 since 2011-10-20 / Copyright 2011 行政書士 明るい総合法務事務所 / สดใส สำนักงานทนายความ / Bright Legal Office. All Rights Reserved.